The NRA Basics of Pistol Shooting is a hands-on practical portion conducted at a range under the guidance and supervision of an NRA certified instructor. The course is intended for all adults regardless of previous shooting experience or NRA affiliation. The NRA Basics of Pistol Shooting is a course conducted in the classroom and at the range under the guidance and supervision of a certified NRA instructors. The course is intended for all regardless of previous shooting experience. 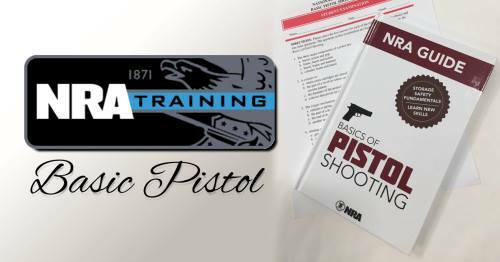 In this course, students receive the NRA Basics of Pistol Shooting handbook, NRA Gun Safety Rules card, and the Winchester/NRA Marksmanship Qualification booklet. Upon successful completion of the course, students will receive a NRA Basics Of Pistol Shooting certificate. 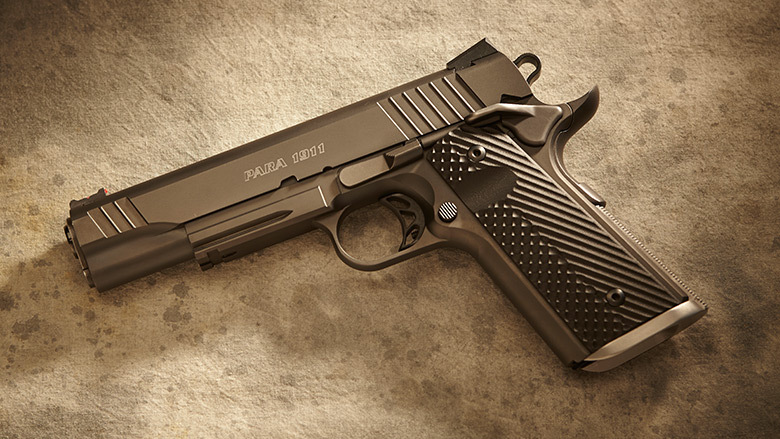 The goal of the course is to teach the basic knowledge, skills and attitude for owning and operating a pistol safely. Topics include: safe gun handling and storage; ammunition knowledge; fundamentals of pistol shooting; selecting; purchasing; and maintaining a pistol; and continued opportunities for skill development. On the range, you will learn range protocol; proper handling; loading and unloading procedures; application of pistol shooting fundamentals; shooting positions; live fire; and take the final shooting qualification course of fire. Supplies - blue or black pen, red pen, pencil, highlighter and notepad for note taking. Snack, sack lunch and non-alcoholic beverages of your choice. Attire - no scoop, v-neck or tank top t-shirts allowed during the range portion of this course. Crew-neck style t-shirts are highly recommended. A baseball style cap is strongly recommended, but not required. Closed toe shoes are required on the range. This is a rain or shine class, so please dress accordingly.